In the last newsletter, I mentioned Term 3 is very busy for our Performing and Practical Arts Learning Areas. The Archdiocese Orchestral Mass held at the Cathedral last weekend was absolutely beautiful. I was incredibly proud of the four students who performed as part of the orchestra. Congratulations to Heather, Melissa, Marta and Joshua on their effort and excellence. The visit to St Luke’s Primary and Padbury Catholic Primary school last week with the College Concert Band and Choir was full of energy. The students were entertained by our talented students and staff. My thanks to Director of Music, Mr Basile and Mrs Byron-Carter and the students. The next event for the Concert Band is next week as they perform in the Catholic Performing Arts Festival at Newman College on Thursday 16 August evening. Families are most welcome to attend. In the past week, the Year 10 students have been presented with an opportunity to be part of an immersion program in Cambodia in July 2019. The program is being coordinated by Mr John Sullivan and Mr Shane Clarke to provide an opportunity for 10 students to give service to others less fortunate and to experience another culture. They will get an opportunity to experience Cambodian life that tourists do not and to hopefully obtain a global view of society. The immersion to Cambodia is a new initiative for the Mater Dei students. The Catholic Schools Breakfast was held this week at the Crown Astral Ballroom on Wednesday 8 August. 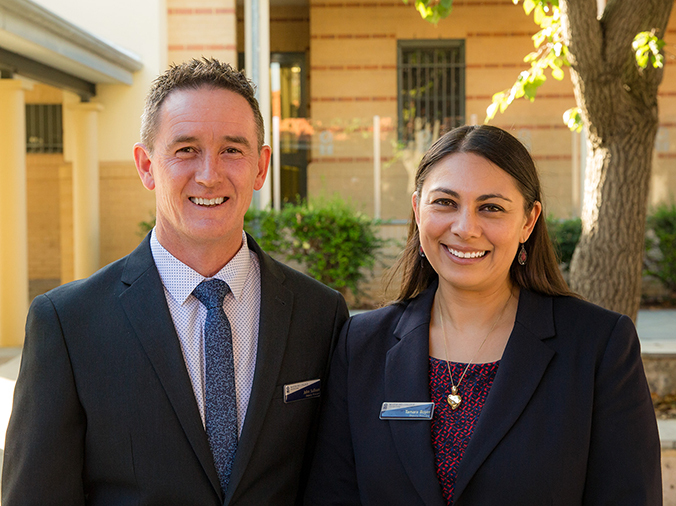 This year two of our staff were acknowledged for their service to Catholic education. Congratulations to Mr Darren Raymond and Mr Vince Basile for 30 years’ service to Catholic schools. Mr Luke Hendricks has also been acknowledged this week for his work in coordinating the AFL Hawks Academy for our College. On Thursday night Mr Hendricks attended an awards ceremony as he has been nominated for the AFL Schools Ambassadors Award. Congratulations Mr Hendricks. Our Japanese visitors departed Mater Dei over the weekend, after a couple of weeks immersing in our community. My sincere thanks to the host families for your generosity in sharing your homes and family life. Thanks also to Mrs Rosanne Jacobs for coordinating the opportunity. More information will go out to families in the next week about the 25th Anniversary Fair and Showcase on Saturday 8 September. Please keep this date clear. The students in the Practical and Creative Arts area have been working hard to ensure their work is ready for Showcase. We welcome all families, friends and community members to our College for an afternoon of stall, activities and an opportunity to view the students’ art and design work. on the feast of your glorious Assumption into heaven. bringing forth thorns and thistles. have been taken up body and soul into heaven. and prepare a place for us. is now in heaven with Him. a pledge to us of the resurrection of our own bodies. be glorified forever in heaven. help us to realize this as we go about our work from day to day. with you and your Son Jesus Christ forever in heaven. 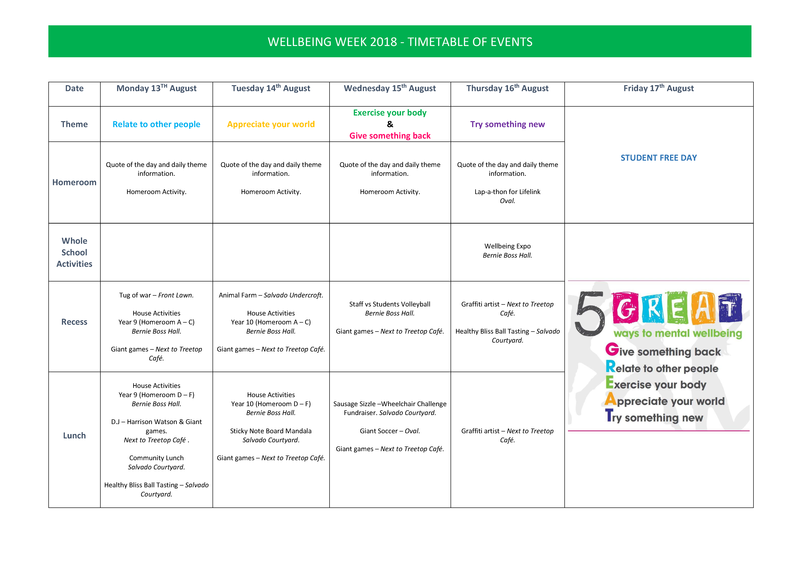 Next week, the College will be celebrating Wellbeing Week. On Thursday, all students and staff will be participating in a Lap-a-thon for LifeLink on the Ballaruk fundraiser for LifeLink and students are asked to raise some funds for this worthy cause. The LifeLink organisation was established by the Archdiocese of Perth in 1994 to provide for the ongoing financial and promotional support of agencies established or assisted by the Catholic Church. LifeLink’s agencies deliver professional services and caring support to thousands of people in need throughout Western Australia each year. Last year, LifeLink funded agencies reached out to help over 34,000 Western Australian families & individuals in need. The work of LifeLink is indeed a positive demonstration of Faith in Action. The LifeLink organisation includes eleven agencies that provide support to individuals and families in need. Please consider sponsoring them, even $1 per agency. Next week Year 11 students are asked to nominate for positions on the 2018 - 2019 Student Leadership Team. The term of office for the team commences at the beginning of Term 4. Nomination forms are available on Seqta and are due in to Mr Green on Thursday 16 August. 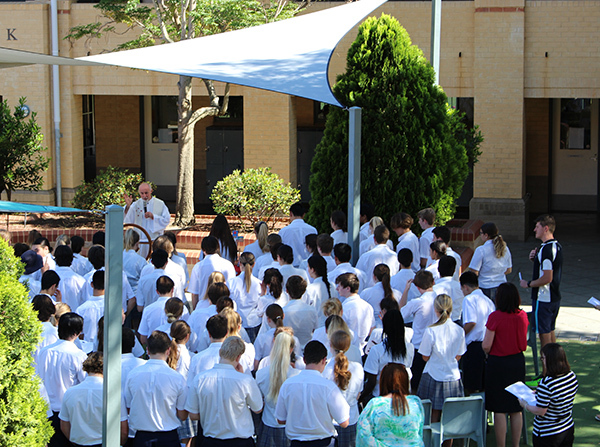 The Student Leadership Team will be actively involved in encouraging a strong Catholic spirit and promoting a sense of community within our College. 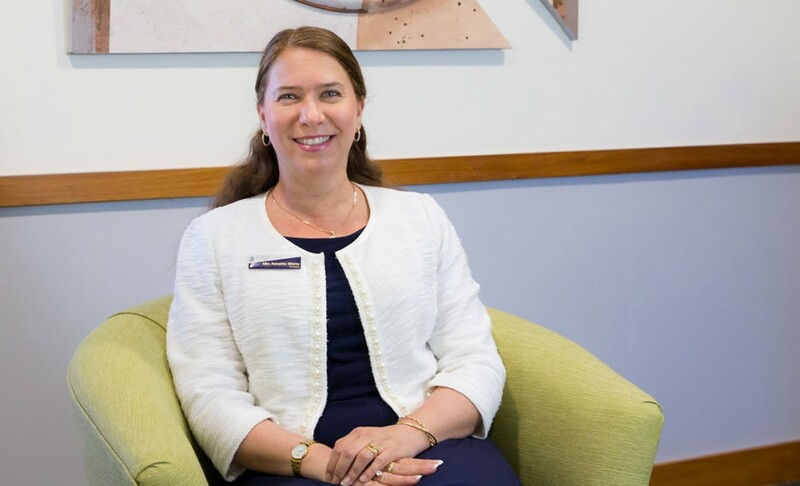 They will liaise between students, staff and the community and will be actively involved in the organisation of College activities and at times represent the College at official functions. We look forward to receiving nominations for positions from Year 11 students who are good role models for their peers and who will be willing to develop and display leadership skills. A reminder that the next round of OLNA is only two and a half weeks away! Students in Years 10, 11 and 12 who are still required to pass one or more OLNA assessment areas should be practising their literacy/numeracy skills using the online subscription which was purchased for them. This package enables students to practise questions from past OLNA tests at home or at school, and provides specific feedback to students including suggested strategies. As indicated below, after school OLNA support sessions are also held each week by teachers from the English and Mathematics Departments. Compulsory attendance is required for all Year 11 and 12 OLNA students and is strongly recommended for students in Years 10. Some students are naturally able to find a good balance between all the facets of their life: schoolwork, sports, activities, friends, family, technology and all of the other aspects of life that keep us busy from when we wake to when we sleep. Other students struggle to fit their schoolwork in during the evenings and weekend. Some students come home after school and just sort of ‘wait’ until they feel like working. And what happens is that they never feel like it so they just don’t get started! Some students start work not long after they get home, but they drag their work out over the whole night doing work in front of the TV, or the computer or their phone. It takes them the whole night, but they hardly get any work done and they don’t feel like they have had a break at all. A much more effective way to approach home study each evening is to keep your school work and your personal life separate. Don’t do your work in front of the TV, don’t do it while on social network sites or while using messenger apps, instead work in 20-30 minute blocks of time and during this time make the conscious choice to actually remove or turn off things that are going to distract you. As it is only for a short block of time, it is bearable. Train yourself to have breaks from your distractions for the blocks of time when you do schoolwork. By doing this you will learn to really focus and concentrate on what you are doing for a block of time. You will be amazed at how much work you get done and how productive you are during this time. Then at the end of that half hour period you have a proper break and really enjoy your free time. 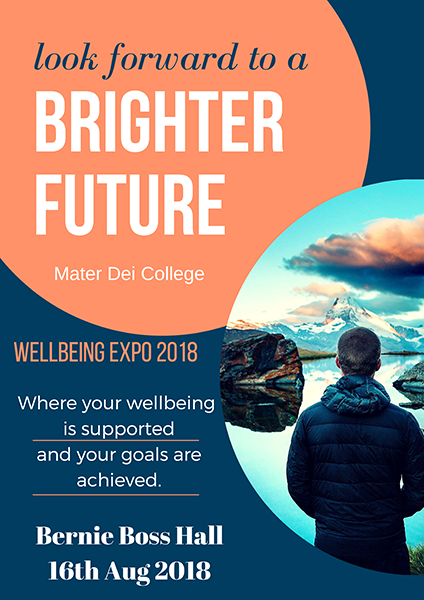 For several years the Wellbeing Service has been offering Youth Mental Health First Aid courses to the parents and adult family members of Mater Dei students. These courses have been well received in the past, and we look forward to running another course this term. 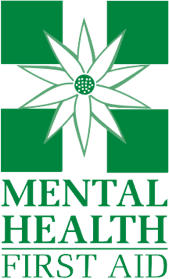 The Youth Mental Health First Aid Course is for adults working or living with adolescents (those aged between 12 and 18 years). The course teaches adults how to assist adolescents who are developing a mental health problem or in a mental health crisis. Course participants learn about adolescent development, the signs and symptoms of the common and disabling mental health problems in young people, where and how to get help when a young person is developing a mental illness, what sort of help has been shown by research to be effective, and how to provide first aid in a crisis situation. The YMHFA course is run over 4 consecutive Wednesdays at a cost of $50. Payment can be made through the online shop on the College website. To download a flyer please follow the LINK. This term, Mater Dei College proudly hosted 8 students from Perth’s sister city of Kagoshima. The visiting students participated in a range of activities in the College including making Lamingtons and meat Pies, Australian Rules Football with the Year 9 girls team and Boomerang making. In addition to the students, we had two English teachers from Kagoshima who stayed with Mater Dei teachers and went to English school to improve their language skills. The Mater Dei student hosts accompanied their students to a visit to Perth City Council, Caversham Wildlife Park and the Perth Zoo. Their final night in Perth was spent at the Treetop Café with a buffet of Emu and Buffalo sausages, Kangaroo salad, Crocodile patties and much more. A real treat for the Japanese and Australians alike. Thank you to Chef Andrew Watson and Monique Chomiak for the amazing feast!! 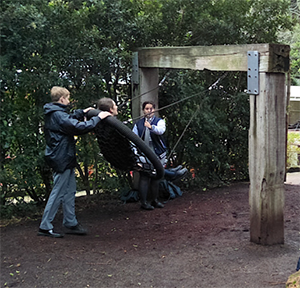 On the Friday 27 July, a group of year 9 students made their way to ECU for the day. Unfortunately, it started to rain when we had just begun to walk there. Mr Stuart and Mrs Storch led the way and stayed with us for the day while we learnt about biodiversity and the critically endangered Carnaby Black Cockatoo. We began the day with a lecture, presented by Kingsley Dixon, a Western Australian Botanist. He talked mostly about the rich biodiversity in Western Australia and the unique variety of orchids that grow in our state. He talked about how orchids have learnt to adapt in their environments by living off other organisms, most commonly fungi or shrubs, copying other flowers’ characteristics and tricking surrounding animals to pollinate, such as wasps and ants. Afterwards, it was time to have recess and get close to Rex, a Carnaby Black Cockatoo that was rescued but will never be able to be released into the wild. Splitting up into our own school groups, we made our way through the campus to go to the Science Block for a more in depth talk about the Black Cockatoo and what nutrition they need to consume every day to keep moving. Turns out, it’s a lot as they need to eat between 100-150 thousand seeds per day! Moving into the next room, we got to look through microscopes at some different plants and discussed why they had certain characteristics. As it was Orientation Day for new students at the university, during our lunch break we got to have a look around at different stalls and cafes, which included snow cones, popcorn, Boost Juice and we had the opportunity to buy food from Café Six. Going back to the Science Block, we were told about the volunteer program for the cockatoos, run by ECU. 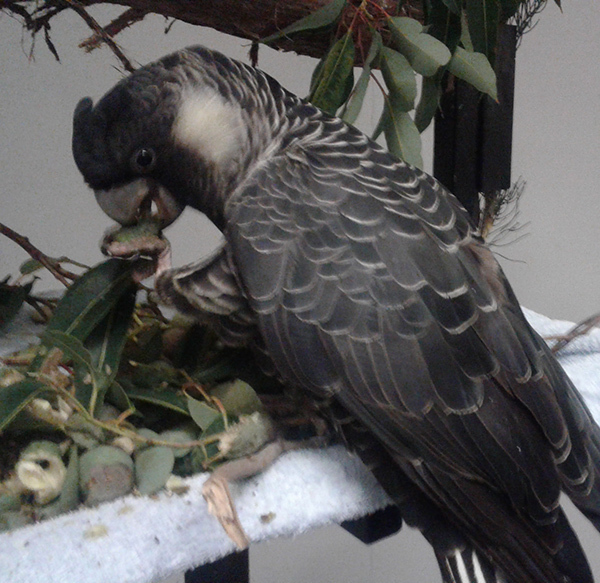 We learnt about the efforts put towards the encouragement of the breeding and migration of the Black Cockatoo and about the past success in those areas. Around the campus, there are multiple breeding areas available to them such as ‘Cockatubes’, ‘Cockaboxes’ and natural hollows in trees. Consequentially, due to their timid nature, competition for these breeding hollows are a huge problem as they will always back down against birds such as galahs and parrots. To end the day, we had an Amazing Race that took us around the whole campus. Overall, it was a great educational opportunity and we learnt much about our ecosystem and biodiversity in W.A. On Thursday 2 August, the Year 12 Human Biology classes joined together to conduct a Biotech incursion. The incursion consisted of using advanced pipetting skills to create a DNA fingerprint for a number of different species using Gel Electrophoresis. The objective was to determine which species the unknown sample came from. Many different skills are needed for this experiment to be a success and for students considering studying science at university and pursuing a career in this area, they are one step ahead of the game. Thank you to Ms O’Shea for allowing us to have the opportunity to use this technology to expand our knowledge of DNA and in a practical setting. 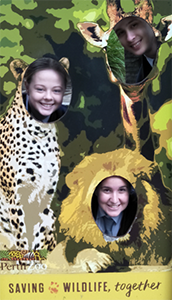 On Friday 3 August, the Year 12 Biology class took a trip to Perth Zoo. Upon arrival, we were given a worksheet to complete and explore the animals and wildlife of our own volition. The day was a huge success apart from the weather, but that didn’t stop us! Our day consisted of observing reptiles, birds, and mammals from various environments. Thank you to Mrs Storch, for organising this excursion, we had an amazing time and had the opportunity to get a hands-on experience with our chosen subject. Joel Matta (Yr 9) and Jude Gaunlett (Yr 10) recently represented the Sorrento Soccer Club in the Gotha Cup held in Sweden. Gotha Cup is the world’s largest international youth football tournament. Each year around 1700 teams from 80 nations take part, playing 4500 games on 110 fields. The teams and participants from all around the world make the tournament a unique meeting place for the world’s youth, irrespective of religion, skin colour or nationality, with football as the common denominator. The Sorrento U15s NPL team was chosen to take part in the opening ceremony to represent Australia and the flag bearer was Jude Gauntlett. Congratulations Joel and Jude. We are very proud of you! Congratulations to the following students who have successfully completed a Short Course for Credit Program at ECU. Students developed self-confidence and public speaking skills, team work and group collaboration techniques and produced high quality written and digital works. Importantly, students who pass the requirements of these courses receive advanced standing (credit transfer) for a first/second year unit, once gaining successful admission to an applicable ECU undergraduate course. University of Western Australia scholarships are provided to undergraduate, postgraduate and international students provided they meet the eligibility requirements and pass the screening. UWA offers a range of scholarships in various disciplines as part of its commitment to attract high achieving students whilst maintaining equity and access. Scholarship applications for 2019 are now open. See if you’re eligible for a Curtin scholarship. Scholarship applications for 2019 are now open. Notre Dame offers a range of scholarship programs for students. Pascal Stuart (Yr 8) has been awarded his Bronze level card. The 25th Anniversary Showcase Fair promises to be a lively community event. Open from 11am - 3pm the Fair will activities suitable for all ages. To download a flyer click on the image below. 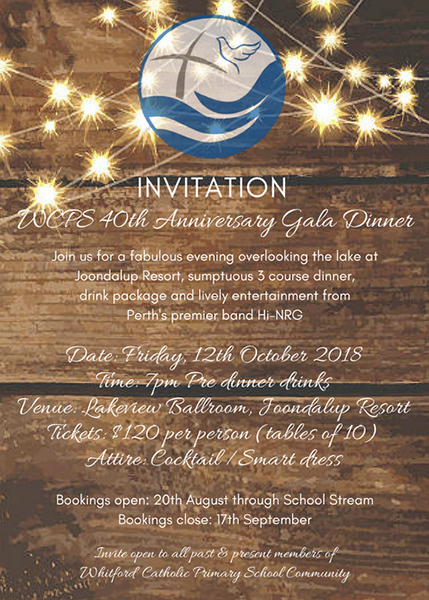 Whitford Catholic Primary Schools’ 40th Anniversary celebrations, we will be hosting a Gala Dinner event. It is a very special year for our school and community to reach this milestone and still be going strong. This wonderful community event will be held Friday 12 October at Joondalup Resort in their beautiful Lakeside Ballroom, it is a celebration of the current and the past. As such it is open to past pupils, teachers and principals to attend. 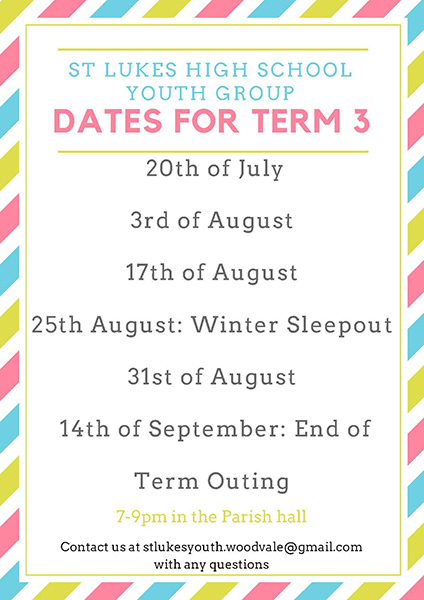 Bookings can be made by phoning the school on 9401 4224. To order a current Entertainment Book please follow the linked image below. 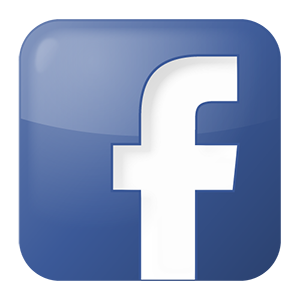 Want to keep up-to-date with the activities of MDC then like our Facebook page.